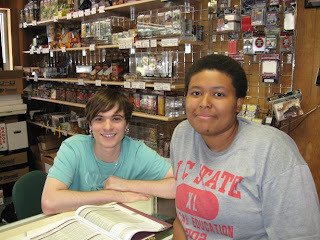 Home » action figures , business , comic books , durham , games , north carolina , sci-fi genre , toys » Get your geek going at Sci-Fi Genre! Get your geek going at Sci-Fi Genre! Nestled away on a tree-lined side street in Durham, North Carolina is one of the most rollickin' fun discoveries that I have made in recent months. And if you didn't know that it was there or were searching it out already, you could easily overlook it. But that seems to be such with so many good things in life, like a hole-in-the-wall restaurant or small bookstore. I first heard about Sci-Fi Genre late this past fall, mostly by word-of-mouth over the Internet. 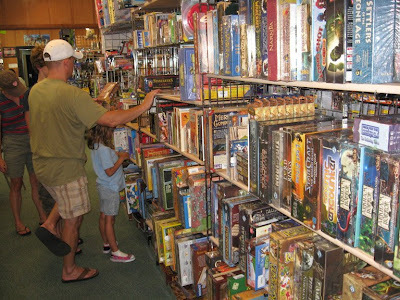 At the time I was getting back into playing BattleTech and was looking for someplace nearby that sold more of the miniatures. And more than a few times, Sci-Fi Genre kept coming up as a place that I should check out. So one Saturday afternoon I headed out east on I-40 and started seeking out this joint. I have to admit: my first glimpse of the place was a little underwhelming. Until the moment that I walked through the front door. In terms of geology, Sci-Fi Genre is like a geode: appearing like one stone among countless others on the outside... but within, a stunning myriad of color and wonder and delight for the eyes and mind! The store also has a fairly good-sized gaming area where players can congregate and hash things out like men (and more than a few women... no chauvinists we!). But personally, for me the biggest thrill of going to Sci-Fi Genre (whenever I get the chance to be around Durham and sometimes I'm determined to find a chance to be there :-P) is oggling the crazy amount of action figures, toys and other geeky memorabilia. The last time I was there I wound up buying a G.I. Joe Hall of Heroes edition Zartan action figure. Why? Mostly for old times sake since Zartan was my favorite figure of the G.I. Joe line back in the Eighties. And also 'cuz I wanted to remember Zartan for the way he used to be, before the G.I. Joe: The Rise of Cobra movie comes out tomorrow and possibly trashes those good memories ('tis the dismal tide of our times, it seems...). 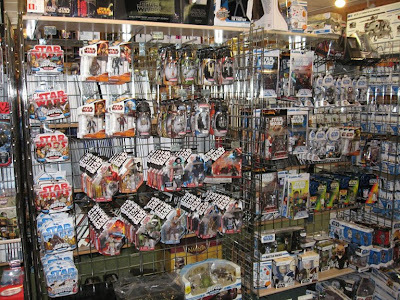 They also stock action figures related to comic books, video games, movies and TV shows like the new and old Battlestar Galactica and Star Trek (both old-school and the new 2009 relaunch stuff), and a wide assortment of the various Transformers lines. 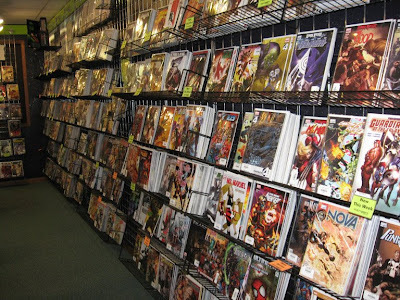 And if by some cosmically incomprehensible reason they don't have what you're looking for on hand, Sci-Fi Genre's knowledgeable and extremely friendly management and sales staff will be glad to order it for you! 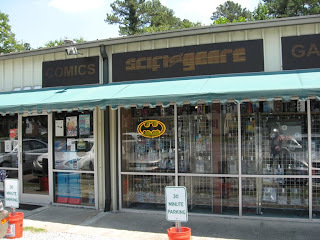 Sci-Fi Genre is located at 3215 Old Chapel Hill Road in Durham, North Carolina. If you're coming in from I-40, it's about ten minutes' drive time from Exit 270 (and sometimes less depending on traffic). Well worth checking out and if you go, you will most certainly be coming back plenty more!